Bangkok airport to Pattaya is a very common route, and most people jump in a Taxi or private hire car. 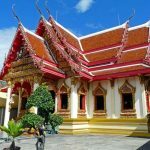 But if you're on a budget, or simply prefer to catch a coach, the good news is that if you’re coming into Suvarnabhumi Airport, which is the main airport of Bangkok, you can get a bus from Bangkok to Pattaya with ease. If you're travelling alone, this option might be a preferred one too, because it doesn't require you to travel into central Bangkok, and there's the added bonus of potentially meeting others travelling to the same destination. In this post I’ll cover everything you need to know to take this journey successfully. 1. Where Can I buy a Ticket? You can buy a ticket at the counter by going to level 1, gate 8 in the arrivals hall . 2. How Much is a Ticket? Tickets cost between 120 and 300 Baht each, depending on the service you use. 3. What Times Does the Bus Leave? Departures start at 7am and run on the hour up until 10pm. 4. Where Does the Bus Stop? The bus stops at the North (opposite Bangkok-Pattaya hospital) and South Pattaya (opposite Big C) intersection, and then onto Thappraya Road where it stops at the company office. Note that the bus that leaves at 9 and 10pm only stops at North Pattaya Bus station. They say this is for your own safety and probably to do with tourists becoming targets for thieves at the other station at this time of night. 5. How Long Does the Bus Take? The bus takes 2 hours from Bangkok Airport to Pattaya. The same is scheduled for a return journey. 6. What is the Baggage Allowance? You are allowed one small piece of hand luggage that will fit in the overhead compartment, and one standard checked-in suitcase of no more than 20kg. If you go oversize or overweight or have extra bags you will have to pay extra. TIP: Label your bags with your full name, number and destination address. Do not leave valuables in stowed baggage. Put valuables in a small body satchel or handbag that is kept on you at all times. 7. Can I a Book a Ticket Online in Advance? This can save you time in a busy departure hall. The only set-back is if you get a flight delay. It might be a good idea to give yourself 2 hours between arriving on the plane and catching the bus. You can buy them here. Yes. By law all private buses are insured for third party claims. This covers 100,000 Baht per person in case of medical expense, death or loss of a bodily organ. 100K Baht is approximately £2,000, which isn’t a lot of money. Make sure you have travel insurance. For affordable cover that’s ideal for Thailand click here. 9. Can I Book a Baby/Child Seat? No, your child has to sit on your lap. You can then fasten your seatbelt around your child. 10. Can I Order Food or Alcohol on Board? No. Alcohol is not permitted on the bus, and neither is smoking. There is no food on board, so take some snacks for the journey. 11. Do I Get Compensation if the Bus is Late? No. Expect delays too, this is Thailand and the roads are very busy in the rush hour. 12. Where Can I Buy a Return Ticket From Pattaya to Bangkok Airport? You can purchase a ticket at the 389 Bus Station on Thappraya Road. 13. I’m Flying into Don Muang Airport, Can I Catch a Bus From There? No, the company doesn’t operate a bus service from Don Muang. If flying in to Don Muang, you can transfer to Suvarnabhumi airport. Jump in a taxi, which will cost approximately 200-350 Baht, or get the public bus – numbers 555 or 554 (cost 37 Baht). 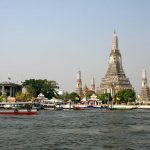 You could also go to either the Eastern Bus Station (Ekkamai) and the Northern Bus Station (Mo Chit) and catch a public bus to Pattaya, but if you're new in town, I'd make like easy and just go to Suvarnabhumi airport for the easy coach transfer. If you feel like exploring, Ekkamai Bus Station can be reached via bus and the BTS (overground) train service, and Mo Chit Bus Station is best reached by taxi. If you have any other questions about the Bangkok Airport to Pattaya bus service, leave them below. There is also a free bus shuttle service between BKK and DMK airports run by AOT! That's cool. How often does it run? That shuttle bus goes from BKK -> DMK, and back. At BKK its stop is at door no. 3 on the second floor, and at DMK the departure is at ground floor arrival of terminal 1, outside gate 5. The schedule is from 5 a.m. to midnight hourly (early morning and late evening) and up to three times per hour (during the day).That service is complimentary, but there is the prerequisite that you have to hold a valid eticket from the other airport. Let me perhaps add that the travel time for that bus service is usually 45 minutes, but during rush hour it can take 75 minutes. A few day ago I went to Bangsaen (close to Sin City) from Ekamai station. Price: 100 THB (Sin City: 120 THB)Back to BKK with a private car: 1.300 THB (incl. tolls). Yes, it runs on weekends too. Thanks for the answer , had been trying to get an idea as to bus or taxi. Every time I tried it gave me the reply no bus available on the dates I searched. Don't know if it's because its Sunday or the site trying to get me to book a taxi. What site are you trying? What is the address for the North Pattaya stop? Can I buy bus fare from there toSuvarnabhumi Airport? Thanon Pattaya Nuea Muang Pattaya, Amphoe Bang Lamung Chang Wat Chon Buri 20150To buy a ticket back to Suvarnabhumi you can purchase a ticket at the 389 Bus Station on Thappraya Road.